Hi everyone! This is Brent. 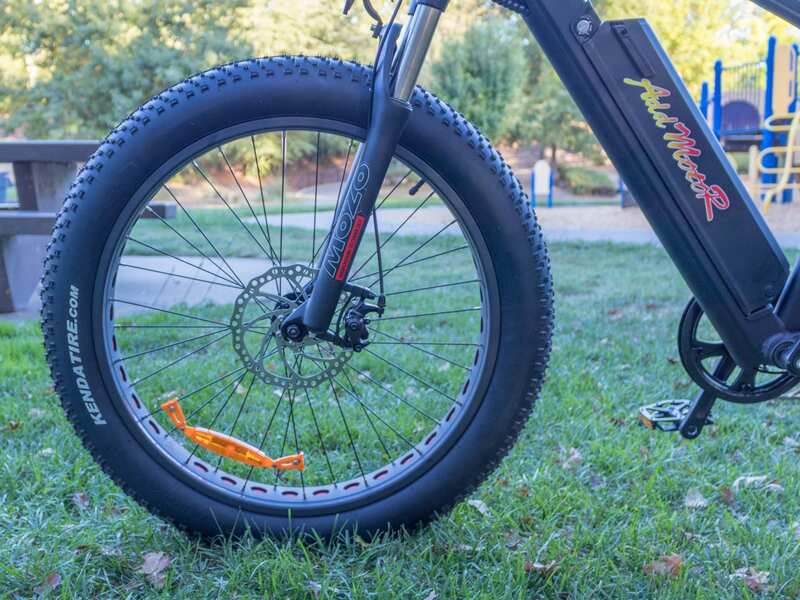 Today I’m reviewing the AddMotoR M-560, a hefty, full-size fat tire electric bike that offers a pretty smooth ride thanks to the front suspension, wide saddle and the massive air volume of the 26” by 4” wide tires. 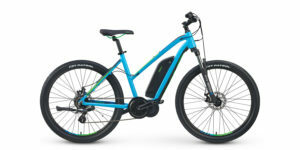 This electric bike retails for $1,699 and has a powerful Bafang 500 watt geared hub motor in the rear wheel, a top speed of 20 mph with the throttle or cadence sensing pedal assist, an integrated front headlight, a locking removable downtube mounted battery with 499.2 watt hours of juice and mechanical disc brakes with 180mm rotors in the front and rear. 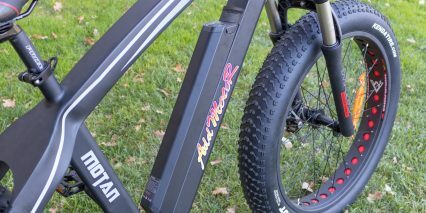 This is a fairly large bike with a 20” frame, 29.5” stand over height and 23.5” reach. This frame will certainly fit some riders quite well, but unfortunately this model is only offered in this frame size, and only comes in black with white and grey accents. 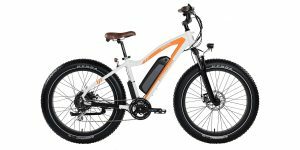 I’ve had the opportunity to review quite a few electric bikes from AddMotoR now, and there’s still quite a few left in their lineup. 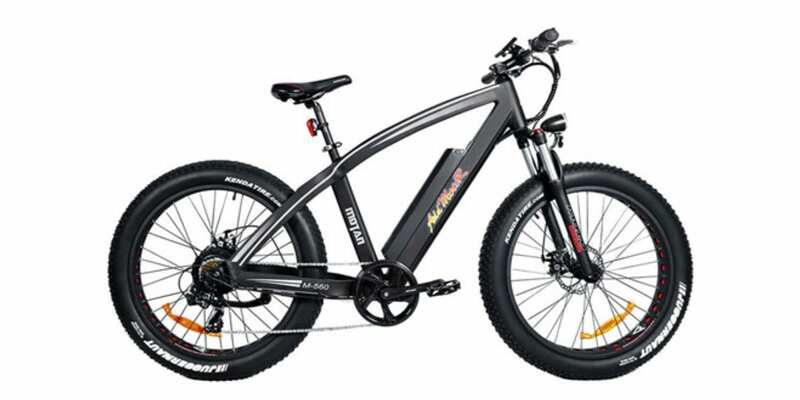 In fact, I think that’s one of AddMotoR’s strongest suites: They have a huge selection of different electric bikes. However, having worked with AddMotoR for so long now has also given me some deeper insights into the company. 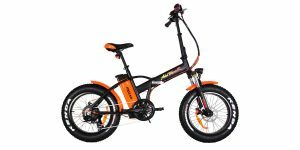 First and foremost, AddMotoR is a direct-order only company that ships to the United States, Canada and Mexico. 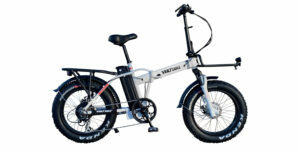 Direct-order companies have one huge pro — savings in price — and a handful of potential cons, which we’ve covered in-depth in our video Dangers of Buying an Ebikes Online & Crowdfunding vs. In Shop. One potential con with direct-order only can be a difficulty with communication. While most of these companies speak English far better than I speak any foreign language, it can still be difficult to get questions adequately and comprehensively answered. Furthermore, the communication can be spotty in general, with days and even weeks passing between replies to email. This is something I found to be true with AddMotoR, and seems to be an issue others have experienced as well as evidenced by some of the feedback in AddMotorR’s comments section. 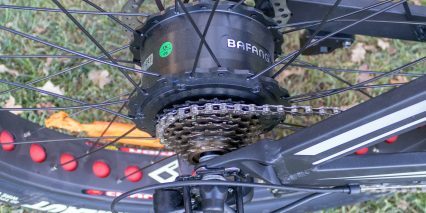 This isn’t to say the company hasn’t gotten bikes out to me promptly, but when it comes to making a change or dealing with a problem, it can be quite difficult. For instance, it took several months to get some of the previous bikes shipped back to them. 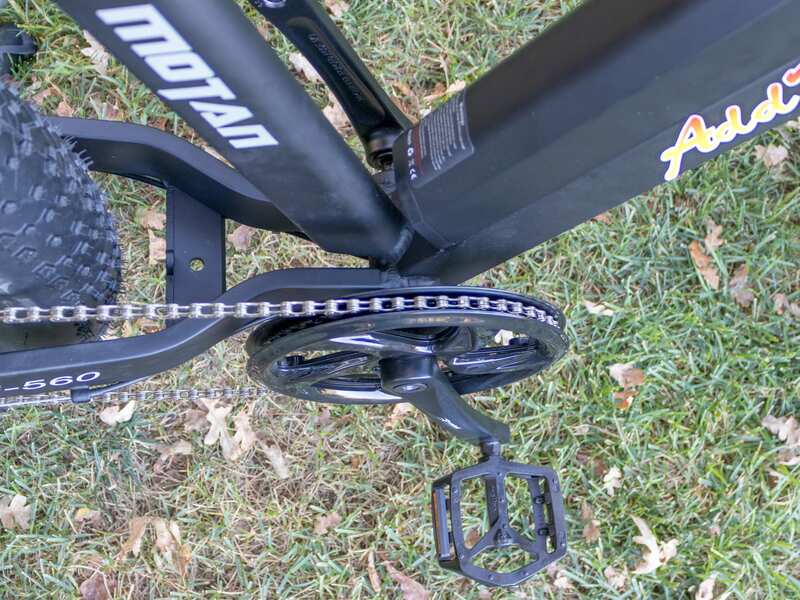 Fit and finish can also be an issue with some direct-order only companies, with some parts not fitting quite right or some components not matching what was advertised on the website, but that has not really been the case overall with AddMotoR in my experience. The bikes I have received came to me undamaged and were relatively easy to assemble save for one or two. The M-560 in particular was a breeze, taking no more than 15 minutes to get fully put together from the time I cut open the box. Awesome! Speaking of shipping, it should be noted that shipping to the United States is free of charge, while shipping to Canada and Mexico is around $200 to $300 depending on where exactly I selected in their checkout page. And while AddMotoR says they ship worldwide, when I selected various countries to calculate shipping costs, every one I checked besides the United States, Mexico and Canada were not eligible for shipping. Perhaps this is new for AddMotoR, perhaps it is temporary, but definitely something I wanted to call out. 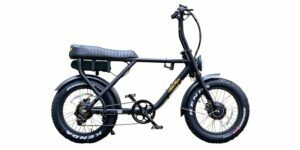 Again, I want to compliment AddMotoR’s huge selection of different electric bikes, which far exceeds the selection of the vast majority of other electric bike companies, even other direct-order only companies. There’s really something for everyone when it comes to AddMotoR’s lineup. 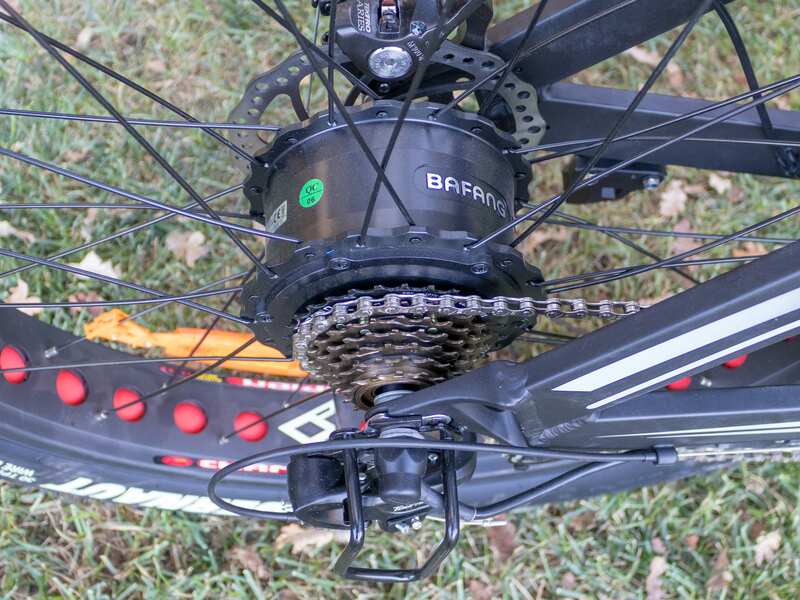 Driving this bike to a top speed of roughly 20 mph is a Bafang 500 watt geared hub motor in the rear wheel. 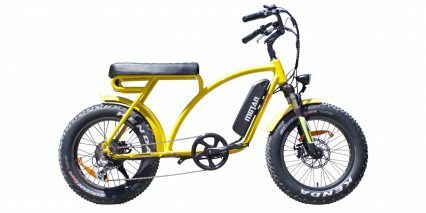 This motor has 80 Newton meters of torque and is overall pretty powerful, and because the top speed is 20 mph, it keeps this bike as a Class 2, which will make it legal to ride in more areas compared to a Class 3 or Class 4 electric bike. 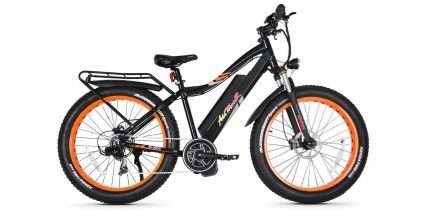 However, it should still be noted that in some areas, even Class 2 electric bikes are not legal to ride, so it’s always best to check with state and local laws before hitting the open road. 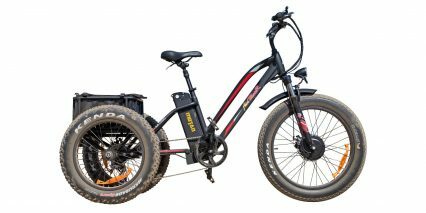 The 500 watt motor is definitely powerful, but the motor does lose some mechanical advantage because of the large fat tires. Technically, the tires are 26”, but really they’re more like 28” tires because of how tall they are. 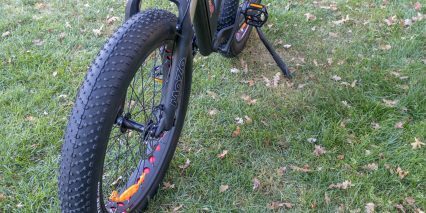 The taller the tire, the more difficult it is for the hub motor to rotate it. 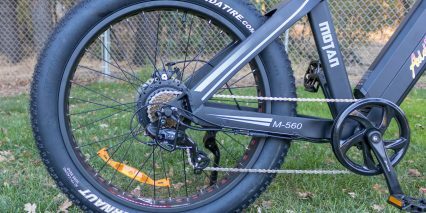 The M-560 has a sealed internal cadence sensor with 12 magnets, making it more responsive compared to other cadence sensors with fewer magnets, but not as responsive as a torque sensor. Like most cadence sensors, there’s a delay from the time I start and stop pedaling and the time the motor actually starts and stops. 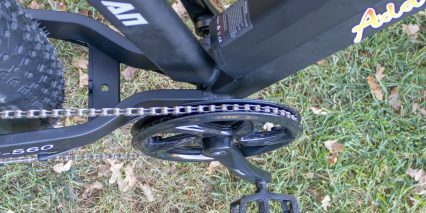 This is especially pronounced when I start pedaling at a low speed in a high gear, making the cranks take longer to revolve compared to starting in a lower gear, and consequently taking longer for the cadence sensor to detect the movement. The good news is, the throttle is hot from 0 mph, so I can override this delay by just twisting the throttle until I get up to speed. I also like that the throttle is hot from 0 mph because it allows me to quickly get started if I need to cross a crosswalk, am starting at the bottom of a steep hill in a high gear, but I appreciate this feature the most when I use it to assist the bike up stairs, remember, this thing weighs 68 pounds so it makes a significant difference! The delay in motor shutoff can make tackling some terrain rather tricky, so I sometimes override the motor by lightly depressing one of the brake levers to activate the motor inhibitors, instantly cutting power to the motor. I like using the motor inhibitors for this, but moreover, they’re a great feature for ensuring the shortest possible stopping distance. 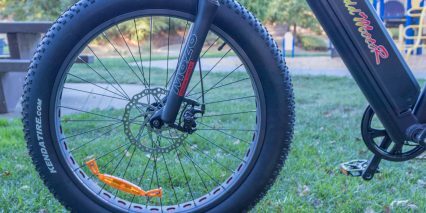 The brakes here are Tektro Aries mechanical brakes with 180mm rotors in the front and rear. 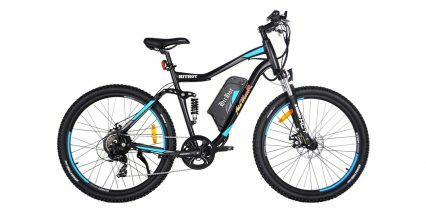 The mechanical disc brakes provide ample stopping power, but do require some effort to fully depress, especially compared to hydraulic disc brakes. And because they’re mechanical, the brake levers themselves can’t be adjusted for reach, which could it even more difficult for some riders with extra small or extra large hands to grasp them. Thankfully, they are large four-finger levers with rubberized edges so there is plenty of room to wrap all four of my fingers around them, and the rubberized edges provide a confident grip purchase. 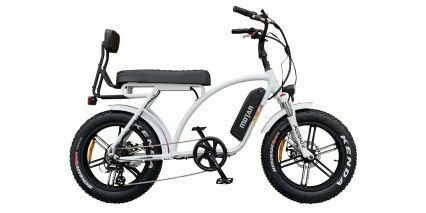 Powering the M-560, the integrated front headlight and the LCD display unit is a 48 volt, 499.2 watt hour locking removable downtube mounted Lithium-ion battery pack. The key hole is located near the top of the battery on the frame itself, keeping it well out of the way of the charging cable when I charge it with the battery attached the frame. 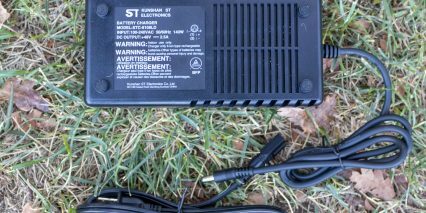 However the charging port itself is located near the bottom of the battery and the charging cord could easily get snagged by the cranks if I accidentally rotate them while charging the battery on the frame. 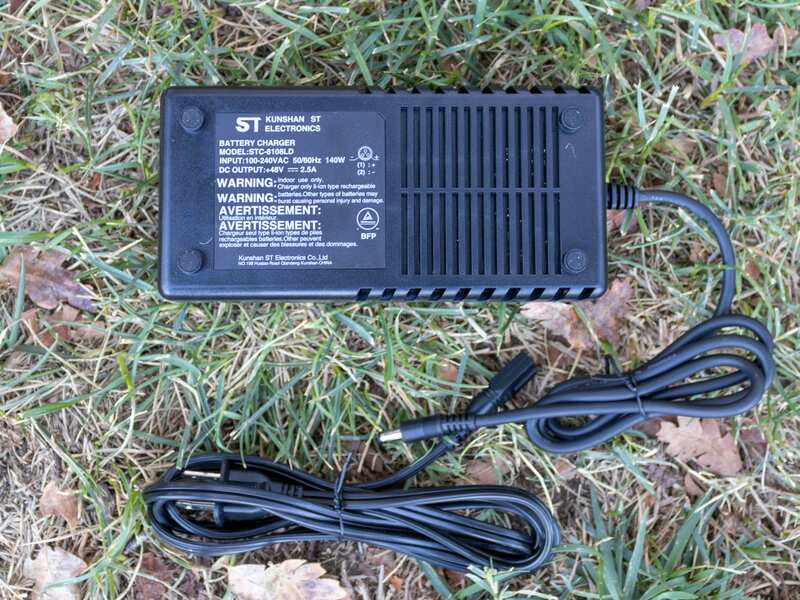 This can damage the charging port, the battery and/or the cord itself. Of course, this can be avoided by charging the battery separate from the frame, which is one of the reasons I love removable batteries so much. I also like them because it makes it easier for me to store these batteries in a cool, dry location, which helps increase the longevity of batteries. 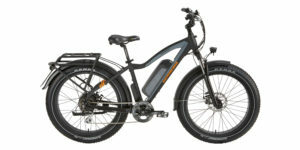 Given the capacity of the battery, the range for the M-560 will likely fall somewhere between 15 to 30 miles per charge. 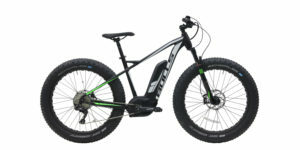 Of course, this greatly depends on my weight, how much extra weight I’m carrying, what kind of terrain I’m tackling, how heavily I use the throttle and how pressurized the tires are. 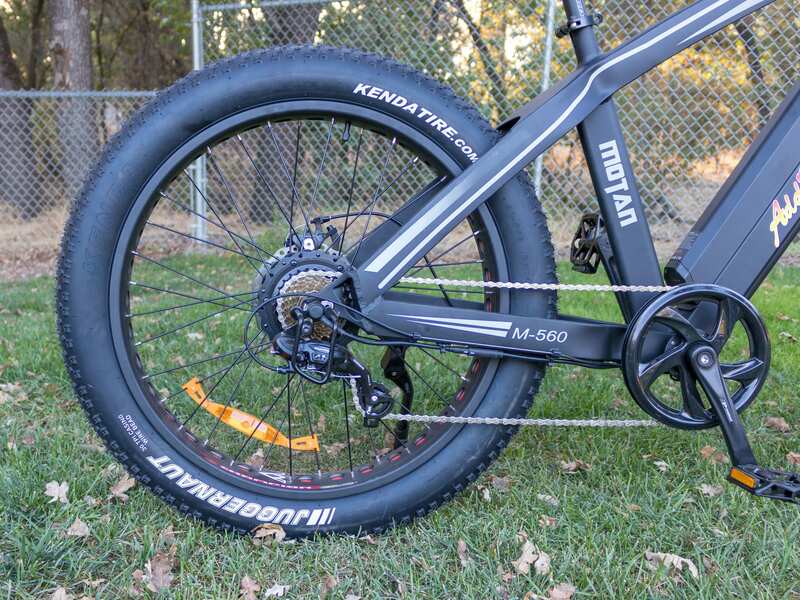 Given these are fat tires, the highest pressure (for this particular tire) is 30 PSI, but it can be aired down all the way to 5 PSI if I want to go over sand, snow, mud or other soggy or loose terrain. 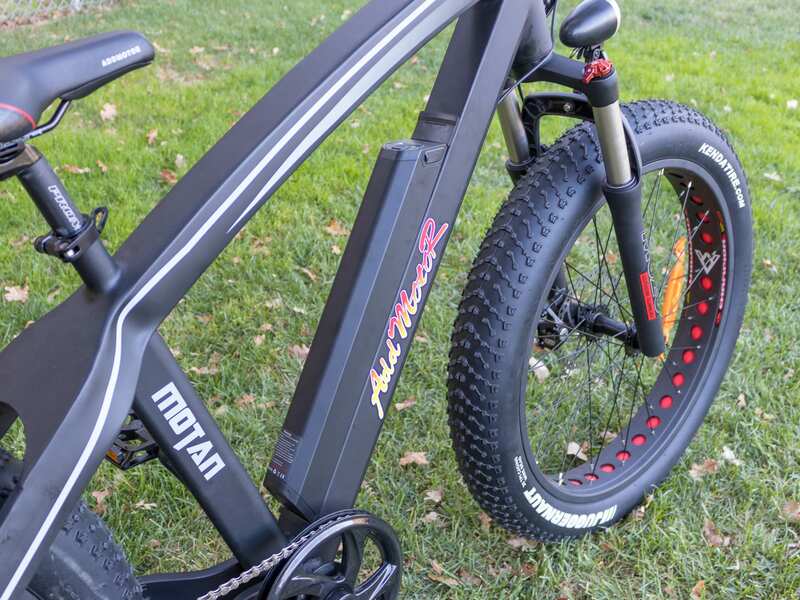 This is great for adding more cushion to the ride and for increasing the size of my tire patch, but it would definitely eat into the battery quite a bit more due to the added rolling resistance. The display here does actually tilt a bit, but only about 20 degrees or so. This will help eliminate or reduce sun glare in some instances. However, the display can’t be removed with tools so it could get scratched up when the bike is left at a public bike rack. 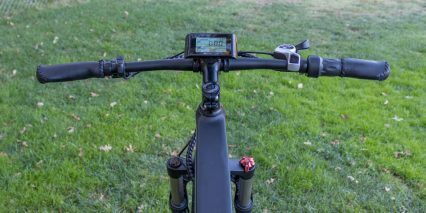 One thing I really like about this display though is it does have a full size USB Type A port just beneath the screen, so I can power accessories while riding directly from the battery. Woot! 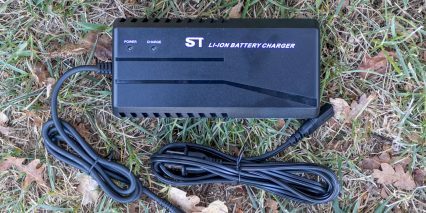 The charger here is a 2.5 amp output, which is slightly higher than average and may help charge up the battery a bit faster. Charge time will like be around four hours. Turning on the display itself is pretty simple and requires a long press of the M on the independent button pad. The key does not need to be left in to operate the bike, which I greatly appreciate. Once the display turns on, the M-560 is ready to ride. It will always start in pedal assist level 1, regardless of what level of pedal assist I leave it in, and it will always start with the lights turned off. When the bike is on, however, the throttle is live, as mentioned before. 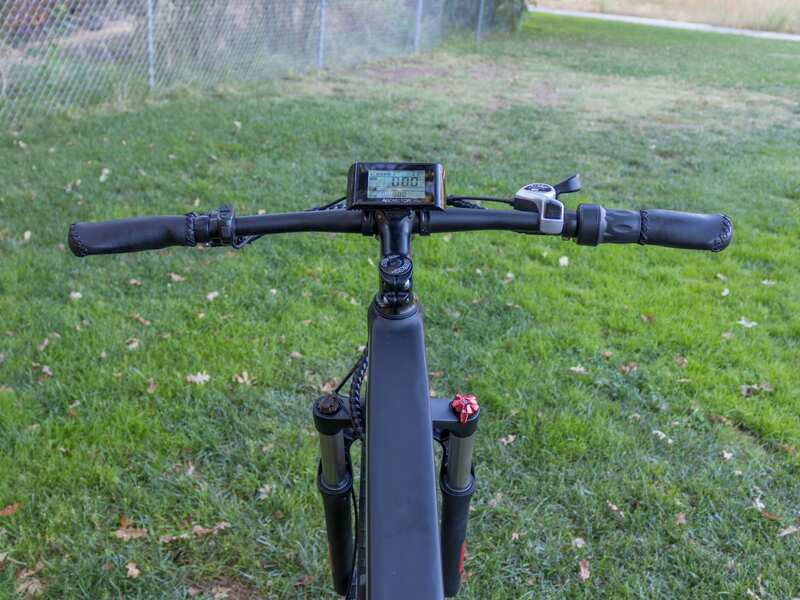 Just a reminder to please be careful with this as I have accidentally activated throttles like this in the past and had the bike run away from me, and once driven a bike into the side of my car (it was at low speeds so no damage). I like this display because it angles a bit, is backlit, has a USB Type A port and provides most of the pertinent information I want to see in a cohesive, easy to understand way. 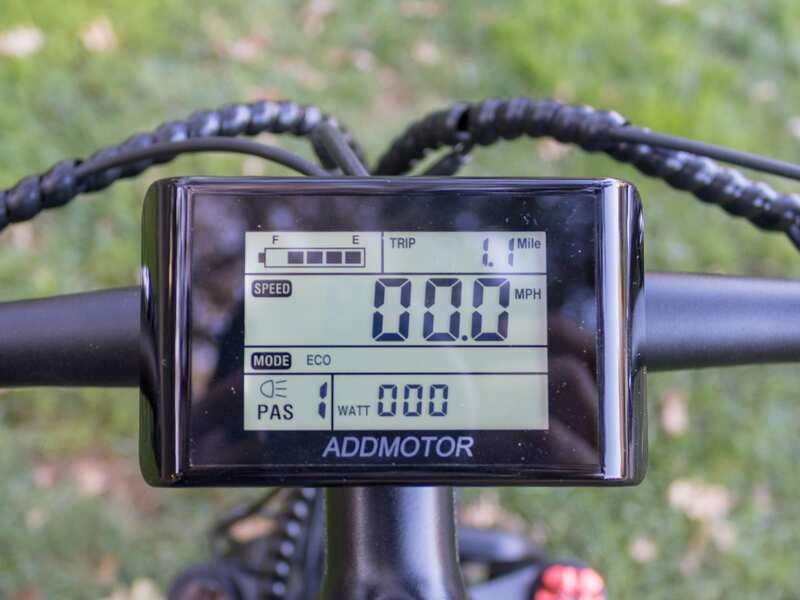 Once the display is activated, I can navigate through the pedal assist modes (1-5) with the up and down arrows and toggle through different display options by tapping the M button and holding the up button. To turn on the light and backlight, I hold the up arrow and M button. To enter walk mode I hold the down arrow. To enter settings I hold the up and down arrow. Pretty straightforward and I also like that the buttons are tacky and provide a good grip, and that they have tactile feedback when they are depressed so I can feel what is happening without having to look. 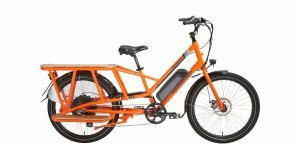 I bought an AddMotor HitHot P1 in June. I’ve had to do a decent amount of work on it, getting rid of some noises. But overall it’s been a great bike, and looks stealthy and powerful. I removed a bunch of the decals so now it’s mostly flat black. 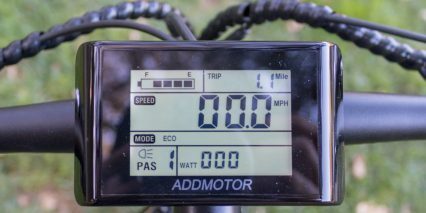 It’s my first ebike and and I’ve put over 1200 miles on it since June. Way more than my car. 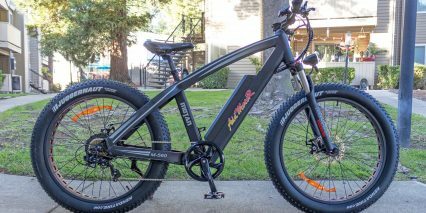 It came with an 11.6 ah battery, which got me about 25 miles at assist level 2 or 3 on hilly terrain. 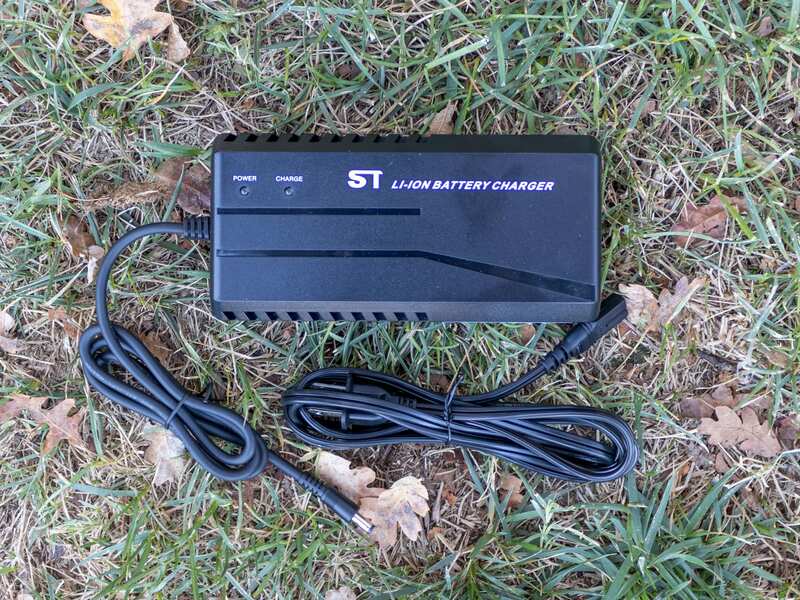 I was digging long rides in the country so much that I bought their 17.5 ah battery for $750. Now I can get 40 miles, which I do almost every weekend. I also have a second battery charging up for commuting. 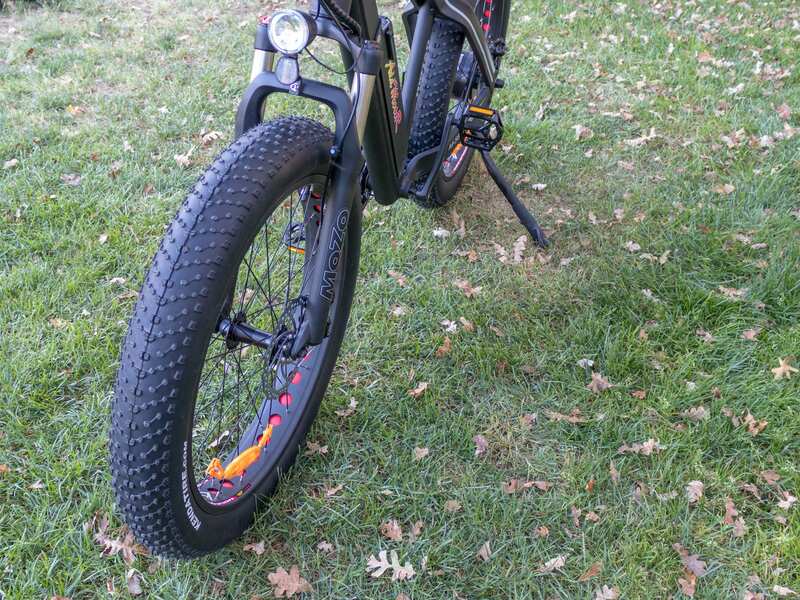 I swapped the knobby tires for hybrids to get more range. Also had the bike shop put a better derailleur on. Even with all of these costs though I think I’m still ahead, looking at other bikes spec to spec. 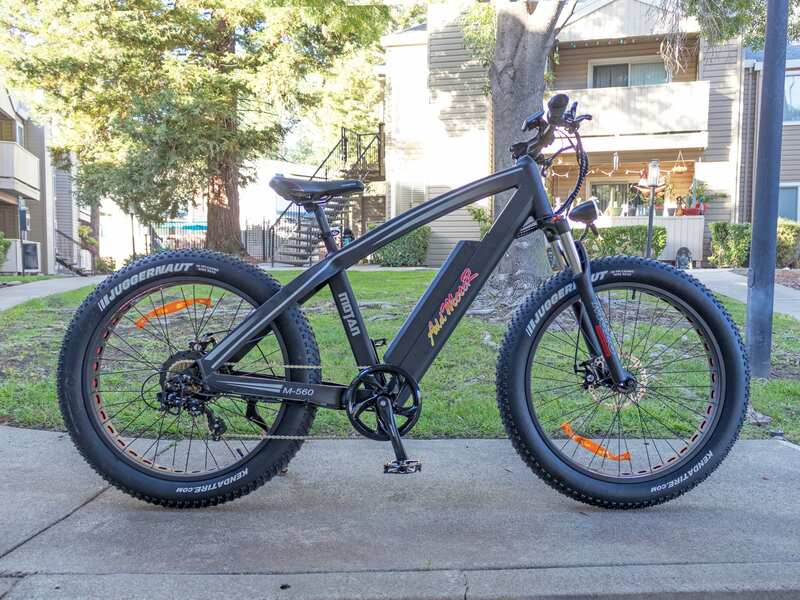 It’s not a bike I would recommend to my boomer friends looking for commuters though. I tell them they should look at mid-motor bikes. I’ve had a few email support tickets with AddMotor, and they always responded within 24 hours with very decent English. If you’re inclined to do some DIY and want to save some money, I would highly recommend this brand from my experience.